Job satisfaction, job success and coworker compatibility are top concerns among recruiters, human resource managers and the engineers of the PXT Select Hiring Assessment Tool. When all three aspects are effectively aligned, business flourishes and profits soar. The science of successfully matching the right person with the right job is largely due to the work of two 20th Century visionaries — Frank Parsons and John Holland. When assessing a recruitment tool like PXT Select for your company, consider the studies it was founded upon. Delving into the work of pioneers who developed career counseling and modernized effective candidate selection can help you better understand the recruitment selection system as a whole. In 1909, Frank Parsons of the Vocational Bureau in Boston, MA laid the groundwork for career development theory with a simple outline for successful employment decision-making. 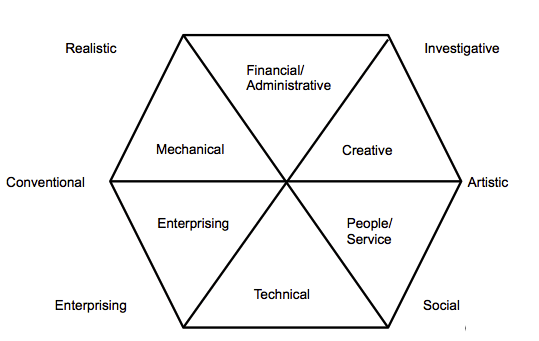 This triad of factors consisted of self-understanding, available jobs and the relationship between the two. Essentially, Parsons believed that if you know your strengths and preferences, and if you are aware of what is required to be successful in specific jobs, you could make sound career decisions rather than leaving your future up to chance. Parson’s philosophy was especially useful in the wake of the Great Depression, when large-scale unemployment created the need to determine the most effective way to classify the exact strengths of an individual. Shortly thereafter, the Second World War had a similar effect from the opposite direction. This prompted the development of the U.S. Employment Service General Aptitude Test Battery that helped address job placement concerns arising from manpower shortages. Strategies for dealing with both crises were based on Parson’s work, which by this time had been renamed the Trait and Factor Theory. The Trait and Factor Theory provided the basis for the PXT Select Hiring Assessment an evaluation system that measures eleven specific traits, allowing you to determine exactly where a job candidate can excel in your workplace. Half a century later in 1959, a Professor Emeritus at John Hopkins University named John Holland expanded on Parson’s premise. He created an in-depth occupational classification system known as the Holland Codes. Holland distilled the thousands of human personality distinctions down to six fundamental categories, which were then mirrored by six types of workplace environments. The realistic, investigative, artistic, social, enterprising and conventional archetypes (RIASEC) became a sound basis for matching people with careers that best suited their personalities and interests. Holland’s work affirmed the notion that people search for and thrive in environments that best fit their personality type. This prevents negative scenarios where work environments do not match individual personalities. The indications of the Holland’s Hexagon (an infographic for RIASEC) allows you to see how an artistically driven person can adapt to social and investigative settings but may not respond well to environments that require a conventional, realistic mindset. Conversely, the system demonstrates that an enterprising person may get along well with others of the same mindset as well as those inclined towards being social or conventional, but people who focus on work through an investigative or realistic lens may deter them. The PXT Select Hiring Assessment Tool expands on these proven theories and research, providing detailed graphs, metrics and reports on the strengths of your job candidate. In turn, these point to the specific positions in your company where they will thrive the most. The inception and growth of the career assessment has evolved into the sophisticated science behind the PXT Select Hiring Assessment Tool. This tool allows you to minimize the incorrect placement of people throughout your workforce and to avoid hiring the wrong people altogether. Both of these scenarios can come at great cost to your bottom line, if unhappy employees become prone to being late, combative or absent altogether. On the positive side, saving money on recruiting, you can watch your company’s productivity expand because people are working in areas that suit them alongside others with similar mindsets. PXT Select provides you with information based on a candidate’s answers to a lengthy inquiry. It begins with a questionnaire measuring skills and reasoning in their verbal and numerical capacities. It also evaluates specific personality traits including pace, assertiveness, outlook, sociability, conformity, decisiveness, accommodation, independence and judgment. These metrics are then assimilated into a series of reports that show you the best position for a candidate or a current employee. It also gives you insight into areas where the person could benefit from coaching and how they measure up next to other individuals. Additional reports suggest alternate positions that might suit a candidate, how the person will fit into your team and how you can expect them to interact with you and your managers. Based on these proven theories and actionable formulas, your current employees and future recruits stand an excellent chance to experience career satisfaction. Utilizing PXT, you can take steps to assure that they are working in areas and with others that match their strengths and interests. As an employer, you can benefit from a high level of productivity while the entire team enjoys a general sense of balance within the workplace. These essential facets of personnel management are the fundamental principles behind the PXT Select Hiring Assessment Tool. If you want personnel who love what they do and a company bottom line that shows it, consider the mechanics of Corexcel’s PXT Select career assessment tool. Determine who are the right people for your company and exactly where to place them in your workforce. Contact us to learn more about streamlining your hiring process, minimizing the costs of turnovers and bad hires and maximizing your recruiting efforts with the PXT Select Hiring Assessment Tool. [Holland’s RAISEC Model]. (2017). Retrieved from Corexcel’s Ready to Hire Simpler and Smarter PowerPoint Webinar.